Scandinavia is a culturally unique section of Northern Europe that encompasses Sweden, Norway and Denmark. These countries were settled by Norsemen and gave rise to the infamous Vikings, who raided Europe and beyond from the eighth through the eleventh centuries. In modern times, however, the Scandanavian countries are known for being peaceful, well educated, cultured and maintaining a high standard of living. The Scandinavian region, though cold at times of the year, offers diverse geography, from Denmark's flat coastlines to Norway's mountains and spectacular fjords. School groups will find much to do, see and explore in Scandinavia, in addition to many music performance opportunities. Officially referred to as the Kingdom of Sweden, this Scandinavian country borders Norway to the west and north and Finland to the east. Denmark lies to the immediate southwest across a narrow expanse of sea. While Sweden is the third-largest country in the European Union by total area, its population is only around 10 million people, most of whon live in urban areas in to the south. 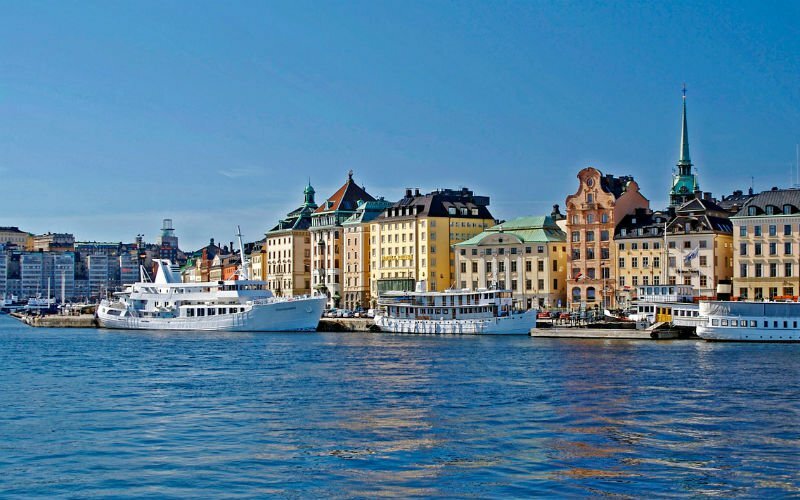 The capital city of Stockholm has many must-see highlights, including its Old Town, the Royal Palace, the House of Nobility, the Stockholm Cathedral and much more. The Kingdom of Norway lies to the northwest of Sweden, with which it shares border over 1,000 miles long. Norway also borders Finland and Russia to the far northeast, and Denmark lies across the Skagerrak strait to the south. Norway has a lengthy coastline, which is rugged to the north and periodically punctuated with dramatic fjords. While much of the hinterland is sparsely populated, Norway's capital city of Oslo is to the south, in a more temperate region. Located at the end of a 70-mile long fjord, Oslo is rich with Norse culture and folklore. School tour groups will want to visit the City Hall, National Theater, Parliament, Royal Palace, Cathedral of Oslo and Gustav Vigeland Park. Another sovereign state, Denmark is located primarily on the Jutland penninsula and hundreds of nearby islands, to the south of Norway and southwest of Sweden. Denmark also shares a border on the southern end of the penninsula with Germany. With the exception of some hills in central Jutland, most of Denmark topography is flat and close to sea level. Danes enjoy a high standard of living, with excellent education, healthcare, civil liberties, democracy and widespread prosperity. The capital city of Copenhagen is the most populous city, as well as the cultural, economic and governing center of Denmark. Must-sees include the Town Hall, Amalienborg Palace, Christianborg Palace, Marble Church, Opera House and the Little Mermaid statue.